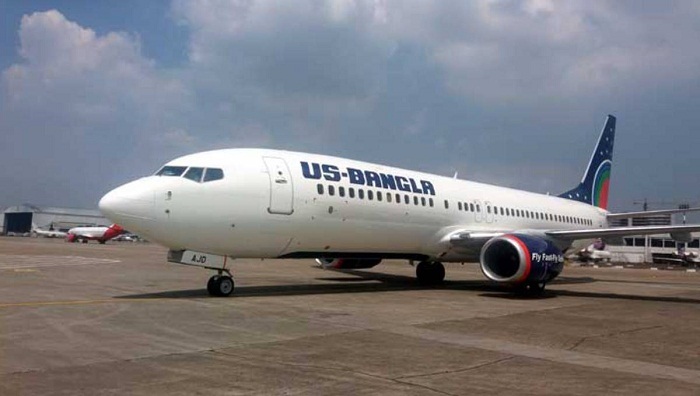 For the first time in Bangladesh’s aviation history, US-Bangla Airlines will begin operating direct flights to Chennai from March 31. Initially three flights will fly from Dhaka to Chennai via Chattogram on Sunday, Tuesday and Thursday and will return on the same day. The flight will leave Dhaka for Chattogram at 9:10 am and will fly for Chennai at 10:45 am. The flight will reach there at 12:45pm and the return flight will leave the Indian city at 01:30 pm on every scheduled day and will reach Chattogram at 16:30 pm and Dhaka at 06:00pm (Bangladesh standard time). The minimum one-way fare is set for TK 15,005 and return fare Tk 24,017. On the other hand minimum one-way fare Tk 16,003 and return fare Tk 26,013 has been fixed for Chattogram-Chennai route. The fares include all taxes and surcharges. With 164-seater Boeing 737-800 aircraft, the flights on Dhaka-Chennai-Dhaka route will be operated. There are 8 business-class and 156 economy seats in the Boeing 737-800 aircraft. US-Bangla Airlines operates flights to Muscat, Doha, Singapore, Kuala Lumpur, Bangkok, Chennai and Kolkata. Presently US-Bangla Airlines is operating the highest number of flights to the highest number of destinations within Bangladesh. It operates flight from Dhaka to Chattogram, Cox’s Bazar, Jashore, Saidpur, Sylhet, Barishal and Rajshahi routes. So far, the US-Bangla has successfully operated 57,000 flights. The airlines own seven aircraft including four Boeing 737-800 and three Dash 8-Q400 aircrafts.